So, after reading Rob Bricken's recap/review of this weeks Grimm (which I watched last night) and the new character introduced, I posted a comment and as happens I then began thinking about the comparisons between this show, Buffy/Angel, and Sleepy Hollow. Take 1 partDana, psychotic slayerand mix with a liberaldose of Faith. When good and frothy, sprinkle on a dash of P!nk. Serve with a side of warmed over sidekick." 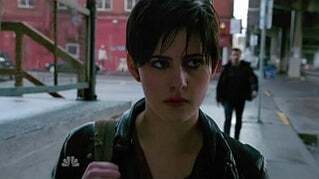 There are some obvious references to the new character of Trubel on Grimm that nods towards Faith and Dana in the Buffyverse, but I think there is a more compelling comparison to be made with Jenny Mills on Sleepy Hollow. Trait/Characteristic/ Story Line Grimm's Theresa Riubel aka Trubel Sleepy Hollow's Jennifer Mills aka Jenny Buffy-verse Similarity? As I filled out this table, I realized that Buffy also fits a bunch of these categories. Here's the thing, there seems to a broad trope at play here for these characters. Sometimes it works and sometimes it doesn't. For me both Faith and Jenny are way more compelling than Trubel and Dana. Maybe with time Trubel will become a compelling character in her own right but for some reason I feel like she might not given how Grimm generally handles folks new to the whole Wesen are real thing which didn't work out so great for Sgt. Wu. Though Sgt. Wu was back to work this week.